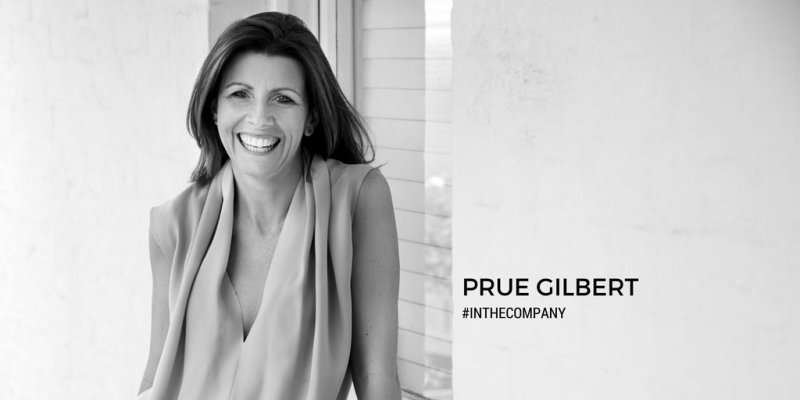 In this episode of In The Company we speak with Prue Gilbert, lawyer, diversity strategist and founder of Grace Papers – a human rights award-winning digital platform designed to empower working parents to navigate career and family. Kylie: Today, we’re in the company of Prue Gilbert, a lawyer, diversity strategist, and founder of gracepapers.com.au, a human rights, award-winning digital platform designed to empower working parents to navigate career and family. Welcome, Prue! Prue: Thank you, Kylie. It’s good to be here. Kylie: We’re excited to have you today to have this really interesting discussion. I think there’s going to be a lot of gems in here that people are going to wake up to that perhaps they haven’t known about before. But before we get into too much of a conversation about Grace Papers, and what Grace Papers does, and what you do now, I’d love to just explore a little bit about maybe who you were as a young person, a small Prue, and the things that you liked doing as a child, and maybe how that informs maybe what you do today. Prue: It’s a funny question that you ask because I’m sorry if I put that to my siblings. They would tell you … and I have four younger siblings … that I was … I acted a lot as their mother, and was quite bossy. Perhaps, I was always destined to be some sort of girl boss, and that was my vocation. And having four younger siblings was just really good practise. I don’t know. They’re some of the other things that I love to do. I grew up in an amazing street whereby on one side of us, we had four … there were four kids in that house, three on the other, and kids all up and down the street. We used to love going exploring into the park lands, because we were allowed to do it back then on weekends, and during holidays, riding our bikes, and really just being curious, which I think is the greatest gift of being a child, that curiosity, discovery. Kylie: Yeah, and something that we really need to hold onto as we get older, I think. We need to definitely cultivate that curiosity in our lives. Kylie: So the oldest of five? Kylie: Keeping them all in line, or showing the way? Prue: Yeah. It’s funny. I don’t think I really thought about it like that when I was younger, but certainly that bossiness, and that mothering … and I think even now, I still perhaps assume an element of worrying about my younger siblings in a motherly kind of manner, a maternal kind of way. But, yeah, it was awesome fun growing up with five kids. I’m just certainly not going to be able to have five children myself. Grace Papers is my fourth baby [inaudible 00:03:25]. Kylie: Great. You actually have three children of your own? Prue: I do. Yeah. In fact, we’ve just had birthday weekends. So, they are now eight, six, and four. Kylie: Congratulations. That’s a handful right there. We’ll get into your story about your journey into parenthood in just a moment. One of the other things I’m also curious … I actually ask all the guests on the podcast is three things that you believe in, and perhaps inform the kind of work that you do today, the kind of … how you live your life. What might three things be that you believe in? Prue: I believe, obviously, in gender equality, and that that’s probably the greatest opportunity we have. I believe in acting with grace in everything that we do. We say do it with grace. I believe in taking time out, which is why I’m heading to Fiji tomorrow. Prue: [crosstalk 00:04:29] really self-care. Kylie: To be fair, you’re going there for work as well. Prue: Well, yes. We’re tacking on … four days, but I am going there for work to deliver a keynote, so yes. Kylie: … any working parent that can combine work, and self-care is … I think that’s a goal that we should all be working towards. It’s really important. Prue: Yeah, exactly. I’ve got a lot more beliefs than that, but that’ll do for now. Kylie: We’ll run with those three. We’ll run with those three, because they are obviously informative to the work that you do now. I’d really like to now just tap into Grace Papers, and what Grace Papers is, and how it came to be. Prue: Well, I guess it really stems from my experience both as a parent, as a lawyer, and having led the diversity strategy for publicly listed organisation, and really focused on what gender equality looked like. I started out really looking at … When I started the consultancy after leaving Corporate Express, I was really set on looking at the diversity strategy and compliance elements. But what kept on happening was every time I’d start with a new client, we’d run listen and learn sessions, and we’d talk to women, and they would share their experiences of navigating pregnancy, parental leave, and their return to work. When we overlaid their experiences with the data, there was a really clear pattern that said they didn’t have adequate flexibility. There was inadequate on, and off ramping support, and organisations didn’t actually know how to have conversations with employees throughout that experience. I guess it’s fair to say, and because it’s been backed up by research as well, that there are still really high levels of bias, and discrimination in the systems that make it difficult for women to realise their full professional potential whilst also feeling fulfilled as a parent. It’s that juggle. Our whole mission is very much about valuing the juggler, rather than discriminating against them. I guess over time … whilst our very initial focus was much more on women, over time, we have seen that it’s become much more focused on men as well. So we now support men to navigate their parental leave journeys, and to really think about what flexibility could look like for them, not just from the perspective of care for family, but from the perspective of self-care, and care for the community as well. It’s been quite a shift in … Because we know that if we can normalise changes to the systems such as flexibility, normalising flexibility, then it will have a significant impact on women being able to fulfil their full professional potential. That’s quite a mouthful. Kylie: So you were in-house council for a publicly listed company, which was Corporate Express, and that’s where you got to really dig into, as you said, the compliance requirements around gender equality. Kylie: But you left there because you had children, or because you wanted to start your own business? Or what was the reason for leaping out of your own corporate career into doing your own thing? Prue: Yeah. It’s a really good question. The stars aligned, in many ways. We’d made the decision as a couple that we wanted to move back to Melbourne, and our head office was in Sydney. I was still on maternity leave when … I was doing some project work, actually … when Staples, which was a US company, decided to buyout Corporate Express. So, that changed my role significantly. I would no longer have been general counsel, because general counsel sat out of the US, and I was also increasingly being pulled away because of my own professional vision from doing that core legal work, much more towards what had become my passion in driving gender equality. The stars aligned really. And I think you do have to listen to the universe, and look at what it is showing you as the new pathway forward. I left there when I was three months pregnant with my second baby, and started up my own consultancy, which I look back on now, and think, wow, it was absolutely mad. In fact, it’s been absolutely mad ever since I made that decision, and yet at the same time, I … it’s a bit of a cliché, but I don’t feel like I’ve ever worked a day, because I love what I do so much. Kylie: Yeah. So through starting your own consultancy, that led to the development of Grace Papers. Kylie: So today, Grace Papers is a digital platform. Kylie: It’s an online platform that both men and women can access to walk through the process of how to navigate their careers as they transition into parenthood. We know that some 60% of working fathers in Australia would like to work part-time, but there’s a catch to it, provided they could continue to have a meaningful career. So, there’s a really strong stigma that continues to be attached to those people who, well, do the juggle effectively. That stigma really says, or questions their commitment to the workplace, and that is at the heart of what we’re trying to change in terms of all of the work that we do. So, we’ve got the digital platform, and in addition we’re also doing a lot of work with leaders in organisations. We’re doing some senior women’s programmes, which are very much about empowering them to better understand the biases in the system in which they are operating, so that they can more successfully navigate those biases. All the research tells us, and in addition to our experience obviously working with women, that when that focus is done with groups of women, organisations are far more likely to drive change for women, and address the systemic issues, because it’s not one person battling a system on their own. They learn and can, in many ways, digest and look at the situations that they are in, and unpack it with others who also understand the context, and the environment in which they’re working, and the biases that are in that system. By doing it that way, you empower a group of women, from a confidence perspective, to also be able to call it out and really start, which is our goal, many movements that transform the limiting beliefs around existing systems, and processes, and beliefs that continue to undermine women’s potential. Kylie: You mentioned about educating women about the biases that exist in the system. I’m guessing that a lot of the people that would be listening to this podcast perhaps wouldn’t be aware of what some of those biases are. What are the common things that you talk about with these women? And I’m guessing, it’s not just the women in the organisations that you’re doing in groups. You talk about this on your platform, which any [crosstalk 00:14:14] independently where they work, can access. What sort of biases perhaps are they not even aware of? Because when you’re in a system, sometimes you don’t even know what’s … how it’s working the way that it is. Prue: Yeah. That’s exactly it. They are the really overt biases that we often see, which are around the comments that are made to women, for example, when they are pregnant, or … or on parental leave, or on their return to work. And one of the most common ones is when women do return to work, they just feel really grateful that they’re allowed to work part-time, and yet at the same time they feel incredibly frustrated as time goes on that they are … their skills are not being fully utilised. It’s often project work that they are given as they’re in that transition stage. But it’s other things like missing out on promotions and not really being able to name what it is as to why they missed out on that promotion, and getting unclear feedback around what the reasons were for that. When you talk to them about it, they feel quite strongly that it was probably because they’re unable to work full-time, or they’re viewed differently. But I think the other challenge that we educate women around is how to navigate that flexibility element, and what it is that’s going to give them a licence to operate. We’re in a situation now whereby women aren’t making it to the most senior leadership positions in organisations. Rather than saying, “There’s something wrong with the system that sees such few women …” 3% of women to make it to CEOs in terms of the big organisations, and that’s a real issue. So, we help them to understand the environments in which they’re operating, and the different systematic issues that challenge their potential, basically, or their capacity to realise their potential. Kylie: Yeah. You mentioned about just being grateful to be able to work part-time, and being able to negotiate that. What would be some strategies for women to overcome that … We talk about how important gratitude is in our life, and maintaining a positive attitude, but when could that potentially work against you in terms of, well, it goes beyond just gratitude, and potentially a human right. Prue: It is a human right. Everybody does have a right to a fair employment, their terms, and conditions. What we way encourage women to do is to really think about their professional vision, and we’ve got a whole tool that helps them to figure out what their professional vision looks like. What are your passions, and your gifts, and your talents, and your abilities? What is it that truly makes your heart sing? Or, how you want to work, what kind of work you want to be doing. So, a whole raft of questions. Start to really focus on that aspect of your life, and your career without any limitations. So often, women have put in place so many limitations around what they can, and cannot do, that their vision is too small. It’s too small to motivate them. It’s too small to inspire them. The various starting point for all of our work is to help people to better understand themselves, and their professional vision. Then, we say, “Right-o, well, what is going to get in the way?” And unlock the barriers, and the limiting beliefs, if you like, that they’ve put in place for themselves. Sometimes, that’s self-protection. Sometimes, it’s a fear, a huge no when talking to so many people taking the leap, that there are always fears that you need to overcome as you are doing something new. And often, their return to work is something new. It’s a new way of working. Its new conversations that you need to have in the context of a business world that is going under so many transformations, or its structures. So many of the women we work with go back to a different boss. We need to start to look at those as opportunities to reposition what you want from your career. And as I said at the start, whatever you do, do it with grace. If you think about what grace might mean, we’ve got a whole lot of different elements to that of course. We say it does mean having such a deep understanding of yourself that you are able to stand up for yourself, and for what you believe in, and what your worth is, and doing it with an element of dignity that being firm around the principles for which you are willing to work, and being guided by your own values, and making sure that they align with your organization’s values as well. That’s how we help them. Kylie: Yeah. It’s amazing, because I wonder just how often in our careers, other than at junction points like this where you’re forced to consider what the future holds, how does the next 10 months work out, 40 weeks work out? How does the next year work out? And then, beyond that. We often, I find in the work that I do in coaching work, is we don’t actually often stop, and think about [inaudible 00:21:45] believe in, and cement those core beliefs, and foundations to then give us that resolution to be able to stand, and ask what we want. Kylie: … standing in the truth of saying, “Well, what is it that I want? And how do I make that happen?” And that’s that full accountability piece, isn’t it, as well? Prue: It’s the most common myth, I would say, that people who are going on parental leave assume somebody will take responsibility for managing their career while they’re on parental leave. Guess what, they don’t. You know that … people managers manage people, not careers. It’s up to individuals to be masters of their own destiny when it comes to choosing your career, and your line of work. You’re absolutely right. We don’t often take that time out to think about what it is that we want, and where we’re actually going. I guess what we’ve done with the platform is offer a really affordable solution in terms of the coaching experience that’s usually reserved for your most senior leaders. That’s really how we’ve made it accessible, and a scalable solution as well, because we know that when we’ve got lots of women talking to each other, and standing up for what they believe in, and fighting the same fight, then really … At the heart of it, Grace Papers is much more about a movement than it is about a programme. Kylie: … other courageous people. Kylie: And you’re their ring leader. Kylie: … during actually getting pregnant? Kylie: Yeah. Because that’s one of the things that came out in Sheryl Sandberg’s book, right, In Lean In, which was a conversation that got kicked off a few years ago particularly around what you do. A lot of women actually check out even before they’ve gotten pregnant. Prue: Correct. As Sheryl Sandberg says, “Don’t leave before you leave.” She tells the story about a young women coming to her, and talking about her career, and how it would look with children, and it turns out that she didn’t even have a boyfriend at that time. But, it is the way women make decisions around organisations. I mentioned earlier that concept of second-generation bias. The belief that we need role models within our organisations is part of that second-generation bias. I guess, in some ways we buy into believing that we need a role model, and that we need a female role model, and we’re looking for senior women who have the same values, and have had similar experiences to us. Yet as we know, there are still far too few women in leadership positions to really fulfil that need for us. Again, we advocate for sponsorship. Think about the sponsors that you can have, and to have a really great sponsor. You don’t actually need to align with their values. Heck, you don’t even need to like the person that much. That what that you need is almost a transactional relationship whereby you are doing something for them, because every leader needs followers, and in that sponsorship relationship you’re probably somebody who can bring others on that journey, and be able to deliver something for that senior person, more often than not at the moment, a male. But they’re also somebody who can advocate for you. Particularly in your absence while you’re potentially on parental leave, and with whom you can have really open conversations about your career, and where you want to go, and get that support to shift forward. Kylie: Is this sponsor like a mentor? Or, how are they different? Prue: Yeah. We say sponsors are a bit different to a mentor, so … just because mentors … People choose a mentor more based on their values, and their experience, whereas a sponsor is somebody who’s going to advocate for you in a different way. Mentors tend to give you advice rather than that advocating piece. I absolutely agree you need mentors in your life as well. In fact, we advocate for having your own board of directors. If you think about your career, every single one of us should have our own personal board of directors. And that board of directors should cover everything from your CFO who’s helping you with your financial advice, to your spiritual … the spiritual side of your life, to the various different elements of your professional life as well. I’d throw in several people who are going to help you with the parenting side of it. Kylie: The same thing, but yeah. Absolutely. We all need a board of directors to run our lives. Prue: We do. Yes. Exactly, exactly. Takes a village. Kylie: It takes a village to raise a child. It just takes a village these days just to get through life. Prue: It does. Takes a village to be me. Kylie: Well, that’s exactly right. And I think that’s actually taps into an important thing that, I think, might be also prevalent … I don’t know if this is the same with men and women, but I feel that women also have this kind of bias towards themselves about potentially also needing to do it all themselves. Kylie: That hyper-independence that, “I don’t need the help, or to be seen to ask for help is showing that I’m not coping, or that I don’t know.” Do you find that when you’re coaching? Prue: Yeah, definitely. Well, it comes back to part of that good mother stereotype, and the pressure that we put on women. On the one hand, we define a good mother as being one who is always with her children. They are always available, and they’re across every single detail that happens. Yet at the same time, we define a good employee, or a great employee as somebody who is completely committed to the workplace with no care, or responsibilities at all. They can deliver 24/7. And we haven’t yet managed to change the stereotypes broadly across society. That’s what we very much focus on doing, by having a professional vision. Because when you have a professional vision, you don’t experience the guilt trap that is the impact of that good mother stereotype, and the ideal employee, because you have those innate beliefs in yourself as to who you are, what you’re doing, and why you’re doing it. And we, therefore, advocate for guilt as being something that’s actually really helpful. If you feel guilt coming into your life, simply check in with your values. Make sure that you are living your values, or realign them as necessary, because we do all need to realign every now and again. It gets a bit out of sync. Then, [inaudible 00:30:39] that guilt back off your shoulder until it comes back again to remind you to check in with your values. If we can think about guilt in that way, then we’re not holding ourselves to these unrealistic standards that are actually not helpful. Kylie: Because, things may not go to plan. Kylie: You may have this vision, you may craft this professional vision, but becoming a parent is one of the most vulnerable things that we will ever do. And for as much as we think this is how it’s going to go, when we make these plans for potentially how it’s going to go … I love they saying that no plan ever survives its impact with reality. I think there’s no more of the perfect time where that comes true is when you become a parent. What about when you change your mind? When you’ve gone in, and you’ve kind of advocated for these things, and then it’s like, “Hang on a minute. I need more time, or I want to come back later, or I’m not coping [inaudible 00:31:45].” There’s a whole raft of reasons why things don’t go to plan. What happens then? Prue: Well, I think that’s the thing about a professional vision is that it’s a vision, not a plan. Their vision is really around the themes for your career, so it’s part of that. We don’t even talk about using language like planning or goals. We use a language that says, for as long as we are alive, we’re always growing. So, what are the growth elements that’ll give you the edge, that you want to work towards your professional vision over the next three, six, 12, however many months? And that takes that pressure off ticking and checking a box. It also leaves room for failure, because we grow through failure, and we grow from making mistakes as parents, as employees. We need to learn to be really forgiving of ourselves as we navigate the different journeys that life presents. So, as we advocate for having a vision, the vision’s really important because it is so connected to the individual’s values, and gifts, and assets, but if the vision is then translated into our plan and goals, then, I don’t know, there’s less room for flexibility. And we need flexibility in our mindsets and in our systems for us all to get to where we’re supposed to be going. Kylie: What advice would you have for people who need to have these tough conversations, if they are addressing biases in their work places, when they’ve been able to overcome their own kind of biases, or dig into their own beliefs? Having a conversation around this can be quite intimidating for a lot of people. What advice do you give viewers for how to prepare for that? Prue: Always ride it out. We actually use a system that has success, or a format in being able to provide feedback in difficult situations. We look at the situation that they’re looking at. We look at the behaviours that are negatively impacting the individual, and actually helping them to describe both those behaviours, and the impact that it has on them. If you can articulate something around behaviours, and impact, then it’s much harder to argue against, which is where if you talk about it from the projecting and thinking side, you’re much more likely to enter into a debate about whether you should or shouldn’t be feeling like that. Whereas if you can talk about it from behaviours and impact, and then explore with the other person, “Well, how could this look if we’re wanting to look at it differently? What can we do to change the situation?” which comes back to those behaviours. I think it is also important. That’s a framework for a situation where you really need to sit down, and have the conversation. We advocate that everybody, men and women, need to be prepared to … have something in their back pocket that they can pull out, and call out inappropriate behaviours, or comments, biases, discrimination when they happen. Because if you can call it out in the moment, then you’re less likely to experience it as discrimination moving forward. And you nip it in the bud, and you walk away feeling empowered, and the other person probably walks away having learned something. Kylie: Yeah. For women who are pregnant, there are some pretty interesting stats around the kinds and discrimination they will experience. What does the research show there? Prue: The research shows that one in two women experience, or report experiencing some form of pregnancy-related discrimination, but also that 27% of new dads experience discrimination as well. It also shows us that men’s requests for flexibility are far more likely to be rejected than women’s. It’s really telling us that the stigmas are still there. Of course, one of the most challenging things is that whilst women will believe that discrimination happens, they actually never believe that it’s going to happen to them. They believe the statistics, and they believe that it does happen to other women, but of course, it’s not going to happen to them. That’s a really significant challenge that we face in terms of encouraging women to prepare for it. Often, we still see women coming to us, and to the platform once they’ve started to experience bias, and discrimination, a lot of which, can increasingly be prevented by preparing for different conversations, and doing the work around themselves, so that you are equipped to be able to stand up for yourself, and do it with grace when those situations arise. [crosstalk 00:37:47] intervention, or prevention … Prevention is always the best solution. Kylie: … and hold us both back in that aspect. I know that when you were getting Grace Papers up and running, your husband, Ben, was also involved in the business, but he took off a period of time to care exclusively for their kids. Kylie: He did. How did he explain that on his LinkedIn profile? I know that he did something quite interesting around … was it writing a letter about how … what he learned while he was on parental leave? Prue: He has, yeah. He has. He wrote a piece around the lessons that he learned from becoming the chief parenting officer for our family. It’s light-hearted, but it’s also quite … It’s quite moving, I think, too, because it calls out the different biases, and the experiences that men face as well. Certainly, I mean, this is only four years ago, or three and a half years ago that he took parental leave. He’ll tell the story of being the only dad at kinder drop off, and at every kinder drop off, or if he was not in a suit, he was, “Oh, day off today, Ben.” It was those subtle comments that really made him feel like he was an outlier rather than included in the parenting side of things. Which, as women, we never experience that. We are expected to be there. I think there’s really still a lot of work we need to do to make men feel that it is acceptable, and more than okay to access parental leave, both in the work place, and also outside of the work place. When we can start to normalise that, we’ll also start to see more women in leadership, and women more able to fully participate in the work place. Kylie: Which is 66 extra days, we would have to work to get pay parity in line with men. It puts a lot of pressure on women to solve this problem. Prue: It does. It does. I think there’s always a lot made of equal pay day. What concerns me about equal pay day is the lack of challenging of the belief systems that underpin the different pay decisions. I think in one report that I read, it talked about that it almost … there was almost a justification for paying, say, HR, a general manager of HR, differently to the general manager of sales. Really, it’s about the way we value people. The history of the decisions, and the belief systems that underpin why people get paid what they get paid needs to be challenged. That’s the debate we need to be having rather than this constant explaining to us of why there is a gender pay gap. Because the existing gender pay gap, and all the commentary around it, isn’t closing the retirement gap. Women are still in a situation where over the course of their lives, they’re earning on average a million dollars less than their male counterparts. There’s really good business cases around why that matters. On the one hand, the number of women shifting to the gig economy has increased substantially over the past 10 years. A significant reason as to why they’re going is because they do believe that they will achieve gender parity from a compensation perspective by working for themselves, and also still being able to have control over their own schedule, and fulfil their parenting roles. It’s an issue for big business in terms of being able to attract and retain the best talent. But secondly, if you look at strategy, and the rules of strategy, or the theory of strategy, it actually doesn’t say that different roles are more valuable than others. It says that there are a number of different functions that are part of the value chain. Some of them are part of the core capabilities of any organisation in terms of what it needs to run a business. But the others, which are actually the support functions are what differentiates their value proposition from others. I think it’s really important and timely that we have different conversations around the belief systems that underpin the existing systems in place. I don’t see enough of that happening. I think whilst I am an advocate of the Male Champions of Change initiative, there’s an element of shifting towards a bit of group think at the moment. I think we need to shift away from that again. Kylie: Yeah. That was one thing I was going to say, because it’s one thing for women to take charge of their careers, and create their professional vision, and have these conversations, and challenge the status quo, and advocate for themselves to make that change. But it’s another thing to actually look at the systemic biases that exist that potentially not just one person is going to shift on their own, and really getting that top echelon where power actually resides to make change, to actually do that. It’s not just women feeling like they have to fix this problem themselves. It’s actually engaging the full range of participation in the work place at all levels, and looking at systemic change, not just individual change. Prue: Absolutely. I think though that one of the things we need to remember is that women didn’t get the vote … or the right to vote because men decided it was good for women. Women didn’t get reproductive rights, because men thought it would be a good idea for women, or that there was a strong business case behind it. Women have managed to get those things, as well as paid parental leave and the right to work part-time to care for young children, and child care, because they have advocated for change. Now, that doesn’t mean that we all need to be out protesting down the streets, although it’s always fun if you want to join us. But you do need to have a really strong sense of what it will take to empower you, and to be able to articulate that to those that are in decision-making positions together with an understanding of the impact of your contributions on your organisation. Because when you can align those three things together, you are standing up for what you are believing in. You will feel more empowered. But also, your organisation isn’t guessing. They’re not left in the dark. They know what needs to change, and are more likely to do so because of the value they placed on you being part of their business. Kylie: And is that massive economic argument about the loss, the loss to productivity by not having women fully participate in the work force? I think I read something on your website recently, it was billions of dollars. Prue: Exactly. Exactly. The gender gap’s massive from a productivity perspective. It’s a no-brainer. It’s also, we need to continue to value the care contributions that women make because if you pull that industry apart, it’s unsustainable for our economy, which again is why things like flexibility are so critically important, and expanding access to flexibility. You saw that to men, as well, is going to be crucial. Kylie: Yeah, absolutely. I think as you mentioned earlier in our discussion, the more it’s normalised for men to take caring roles, and to be able to take leave, and to appreciate the value that that actually has to their communities, and also to their own development as a human being, the more it will become valued. I think it’s … part of it is that unless you experience it, you don’t actually fully understand the value that if offers, or that it delivers. Prue: I think that there’s that beautiful article that talks about the five regrets of the dying. None of them is about work. I think as part of the business case for men to take flexibility, it is reminding them of what life’s all about, too, and giving them the opportunities to lean in and make the connections that are part of their humanity. They’re feeling more fulfilled over life as well. Kylie: So, I’m going to be talking to Bronnie Ware, who is the author of those five regrets in a few weeks. Super exciting, but there is one regret to do with work, and it’s … the regret is that I wish I hadn’t worked so hard. It’s totally within the realm to say that there is other things outside of our working lives that we also need to value, and also see that the contribution that meets to who we are when we do show up to work, I think, is super, super important. We’re coming towards the end of our time together, but I was wondering can you give us some great examples maybe from both … from men and women that you’ve coached that have either turned things around, or created really positive outcomes for them that perhaps people might be surprised about, or … to get an understanding of the power of having this kind of education, and information, and support when you’re making this transition? Prue: Look, I was coaching somebody recently. She had been told that she was on track for partnership, but it wouldn’t happen for another two years. So, we worked through, “Well, what’s your vision? When do you think you’re ready?” And starting to do a whole lot of that kind of work. I said to her, “So, what’s with the gap? Why is it not for another two years?” She said, “It’s funny you say that,” because another really senior member of her organisation had asked her the same thing, but she’d always just accepted that that was the way it was going to be. Once we started exploring it, she realised that there was something a little bit amiss. So, off she went to figure out whether in fact she should be in the next intake from a partnership perspective, which given her desire to grow her family, actually made a whole lot more sense to fast track it, because it’s a bit of a mucky period when you’re going through … in that whole application process. That was one really nice example of her actually taking the time out to reflect on it and, not just relying on others to make decisions about her career. Prue: Yeah. Exactly. Exactly. Then, there’s another programme that we’re facilitating at the moment. It has very much been around, what are the growing edges collectively that they can come up with? Certainly, the gender pay gap is one of them. I guess what we start to see is through the work that we’re doing, we’re not just empowering one person. We are empowering people to lead small movements within organisations, and to really connect with their wife, or what they do. It always inspires me when I hear that a senior banker, for instance, who is really left wing in terms of their beliefs is there because they actually believe big corporates can drive social equality through people like them. It restores my faith in big business, and in humanity, especially when you say that their bank’s so well supported by leadership teams. Kylie: … in any size business. So, if you’re in a small business, and you want to have these conversations, or wonder how to tackle it, you can access it, but you also work with the top end of town, and with one of [crosstalk 00:53:58] some of the world’s most recognisable brands. What are those businesses doing differently? How are they leading the way in championing diversity, and inclusion, and equality? Prue: Look, I think all of them would acknowledge that there’s no silver bullet to it. I think what the best organisations are doing is looking at the different interventions that are going to be the most impactful. So, when you think about how we change systems, and how we change things for their future, there’s a tendency to invest in leadership, and assume that that’s because that’s where the power is. What we are increasingly seeing is a belief in … Actually, these decisions are made at the time that people have babies. It was certainly our own experience with our first that we always assumed that I would work part-time purely because of one simple fact, and that was that Ben was five years older than me. Therefore, he was earning a lot more than me at the time that we had our first baby. Now, the average age of a first-time mother in Australia is 29, and the average age of a first-time father in Australia is 33. That four-year age gap translates to a four-year pay gap, and so most other couples are making the same decision. If we actually want to challenge the system, then we need to start at the time that people are making decisions about career and care, because that is also when they are hanging themselves on a mortgage, and investing in one career over another, and setting themselves up at home for there to be a primary carer who manages the home stuff, the domestic stuff, if you like. So, what we’re seeing from corporates is a belief that actually we’ve been investing too late in all of this, and we need to invest earlier, because discrimination starts at pregnancy, and it has repercussions all the way through. So, if we want to change what happens in the system over time, beyond that, we need to start when they’re making those decisions. Prue: Yeah, that’s exactly it. Yeah. We’re working with some fabulous employers. AY, PwC, Australia Post, NAB … I’m so going to miss out a whole lot … Melbourne Water, Department of Environment, Land and Water. They’re doing a lot of work with New South Wales government as well, and [inaudible 00:56:57]. So, there are some really progressive employers out there that are really driving such a change. Prue: Absolutely. In fact, there was a Manpower survey, or report that came out just a week or two ago, and it did say that across all demographics, flexibility and the capacity to balance work and life is the number one priority that people are looking for when they’re looking for new jobs. Kylie: … more. Yeah. It’s super interesting. What’s your vision for how … if you could wave a magic wand, and solve the gender equality problem at the moment, what would you hope to see? Or, what would you make happen? Prue: I mean, my vision is for a society in which women are able to care, and fully realise their professional potential, to live without oppression, and to retire with economic security. But my vision is also that men are able to contemplate the way that they work, and live more meaningful and fulfilling lives through better connections with their families. If I could do anything, that would be the one that I would wave across men and women. Kylie: Yeah. And you’re on your way there. Just to wrap up our conversation today, what would be three things that you would like listeners to take away from our conversation? Prue: A belief that discrimination can impact them, not just their friends, and their peers. Secondly, a belief that they are worthy of investing in themselves, and doing that hard work to really get to know who they are, what they want, and what their professional vision would look like. And a belief that they are worthy of being treated with respect, and dignity, and grace, really. Kylie: I think there’s a questionnaire people can go on and fill out, isn’t there? Kylie: Yeah. Does that also cover off what some of their legal rights are as well? Prue: That’s definitely in the platform, that part of it. You’ll get an overview of what your rights and responsibilities are. Follow us on Facebook, or Instagram, and there’s a community that you can come on and join as well. Kylie: … our chat today. Kylie: You ready to roll? Okay. Prue: I stand up for what I believe in. Prue: Sometimes, I indulge it. I think I indulge it to beat it. Prue: When the Going Get Tough, the Tough Get Going. Prue: Grace, leaders with grace. Prue: Whatever you do, do it with grace. Prue: Be more curious in life. Prue: The Course of Love. Prue: Have an interesting relationship. It pushes me. I push back. Then, I remember that it is all about growth. So, I lean into it, and grow through it. Prue: My children. My family. Prue: To transform the limiting beliefs about jugglers, people who care, and work. Kylie: It’s been great to chat with you today, Prue. Thank you so much for joining us, and for giving us an insight into what you do, and the incredible impact that you are having in Australian workplaces. But I think also you will take over the world. We know that that’s going to happen. Prue: Thank you for your belief in us and me. Kylie: We’re super grateful for the work that you do, and encourage everyone to check out gracepapers.com.au.